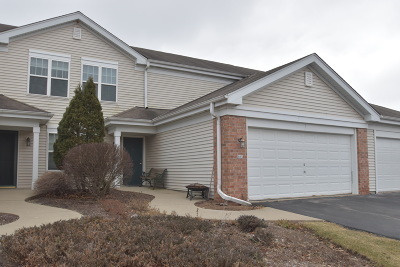 1,144 sq ft - MLS# 1619953 Courtesy of Shorewest Realtors, Inc.
Move in condition Mulberry Downs Condominium! This freshly painted 2 BR 1.5BA condo offers bright south facing exposure with a deck overlooking beautiful green landscaping. The unit boasts a private entry and large attached garage with upstairs laundry. You will love the granite counters in the kitchen with all appliances included and pull out drawers in the cabinets! Main floor powder room and a dinette area off the spacious living room with freshly cleaned carpeting. The lower level is partially finished and needs only flooring. Plus the owner is offering a One Year Home Warranty for the lucky buyer.